Not all operating rooms are made equal. During emergency situations having the right equipment and key personel could be the difference in life and death. We spare no expensive to ensure that our patients have access to any equipment we believe we play a crucial role in saving the life of a patient during a bariatric procedure. Pompeii Surgical also follows its own policy to Backup Ready Equipment Protocol. This means that every piece of equipment in our operating room has a matching backup available and ready incase of equipment malfunction during your procedure. In addition, our bariatric pharmacy also stocks and carries multiple redundant surgical supplies for every consumable item before surgery. This is a policy that very few surgical groups in Tijuana follow since it is not legally required but it plays such a crucial role in the safety of the patient. 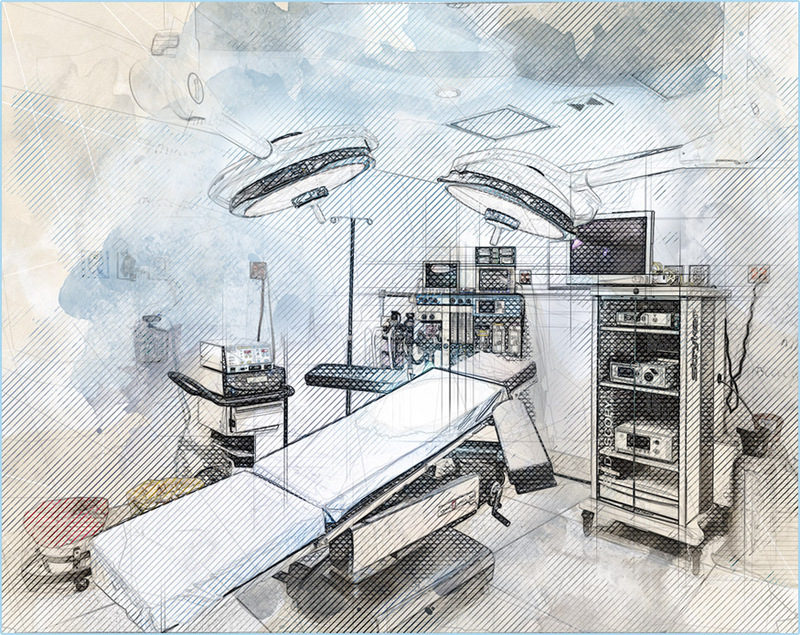 Pompeii Surgical Center also has two fully functional operating rooms and we have a policy that ensures only one operating room is being utilized during normal business operations. This keeps an operating room available to our patients incase of emergency. Most surgical centers in the region only have a single operating room and must use ambulance services when emergencies arise which can delay treatment for the patient and endure unexpected costs. We only use FDA Approved surgical supplies purchased direct from the distributor. Many surgical groups use offbrand surgical staples and refuse to occur the higher costs of providing Echelon and Johnson & Johnson products. We will be more then happy to present to any patient upon request the actual surgical staples we will be using during their surgery and present them with the steril packing after their surgery to ensure that we keep our promiss to only use the absolute best supplies for our patients. We do not use any supplies or medication on our patients that is not being used in the United States.